Our forums, conferences, presentations of application examples and panel discussions will give you additional momentum and background information on the fair's interesting topics. Topics like automation electronics, power electronics, embedded systems, medical electronics and connectors move the electronic-components industry. At electronica China, you will find answers to your questions on these and other topics. To meet the increasing needs of both visitors and exhibitors, “Automotive Day” will be launched at electronica China continually to provide a focused and efficient platform for high-end customers. Experts from OEM and automotive parts suppliers will be discuss the hottest topics such as ADAS, telematics and so on. Forum will discuss the hottest topics such as New Device of Power Electronics and Innovation Technologies for Power Supplies, Power Supply Application and Key Technologies of Smart Grid, Intelligent Movement - the Core of Intelligent Manufacturing and Traffic Electrification and etc. International Embedded Systems Innovation Forum will kick off on March 21, 2019 at the Shanghai New International Expo Center, Room M31, 2nd Floor, E5 Hall. The conference will give a lively speech and discussion on hot topics such as IoT and artificial intelligence. International Medical Electronics Innovation Forum will be held on March 20, 2019 at the M31 conference room, E5 Hall, Shanghai New International Expo Center. International Medical Electronics Innovation Forum will focus on the topics of “Status and Trend of Medical Electronics”, “Wearable Device and IOT for Healthcare”, “AI in Medicine”, “Security of Medical Information System and IOT”. International Connector Innovation Forum will be held on March 21, 2019 at the Shanghai New International Exhibition Centre, Hall C1, On-site Forum. 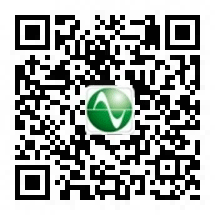 The conference will discuss Innovative development and market dynamic analysis of connectors for 5G mobile communication equipment, and the development of connector technology in various fields.